You Are Here:The Arbalest Quarrel Article 2nd Amendment COERCIVE BOYCOTTS AGAINST COMPANIES DOING BUSINESS WITH NRA ARE ILLEGAL. In the wake of the Marjory Stoneman Douglas High School tragedy in Parkland Florida, antigun proponents and activists, in furtherance of their agenda to destroy the Second Amendment, have renewed their attack on guns, gun owners, and on the NRA. Antigun groups, bankrolled by billionaire Globalists, who have their own agenda—destruction of the United States as an independent sovereign Nation State along with the dismantling of the Nation’s Bill of Rights—have orchestrated marches and demonstrations to urge State and Federal lawmakers to enact news laws banning semiautomatic weapons. 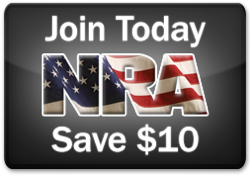 And, as against the NRA, antigun groups have unveiled in recent days another strategy: the boycott. This tactic involves targeting companies that have partnership arrangements with NRA. But, boycotts may have a non-labor purpose. “The purpose of these boycotts is to protest some condition and induce action on the part of the targeted parties to correct the condition. The condition protested against may be political, social or economic in nature.” Countless Free-Standing Trees: Non-Labor Boycotts After NAACP v. Claiborne Hardware Co., 71 Ky. L.J. 899, 900 (1983), by Carl Boyd. One sub-set of the non-labor boycott is the “political boycott.” “A ‘political’ boycott is one in which the primary goal of the protesters is to change governmental policy or to secure the enactment of new laws. This term includes anti-discrimination boycotts which are not primarily directed at economic opportunities such as jobs. One major distinction between ‘political’ and ‘economic’ boycotts is that the political boycott is basically secondary, with its primary focus on forcing the boycott target to use its influence to seek governmental change. Many boycotts have involved a political element.” Id. At 900, fn 8. We see this here. When using the tactic of political boycotts, antigun groups do not target NRA directly but, rather, target the companies that do business with NRA. ANTIGUN ATTACKS AGAINST COMPANIES THAT HAVE BUSINESS RELATIONSHIPS WITH NRA ARE BOTH MORALLY OUTRAGEOUS AND LEGALLY SUSPECT. The mainstream media, long in bed with antigun groups, do not bother to inform the public that these boycotts may very well be illegal. “Boycott organizers and participants face two fundamental legal obstacles: 1) to be sustained, the boycott must withstand efforts to enjoin supporting activities, such as picketing; and 2) even if the boycott is successful, boycott organizers might be liable for large damages from tort claims. Both of these concerns are tied to a common issue, the ‘legality’ of the boycott. A finding of illegality may arise from three sources: 1) general tort principles concerned with interference with prospective advantage; 2) state statutes regulating picketing or attempting to limit interference with business activity; or 3) antitrust legislation, especially the Sherman Act. Underlying the legality issue is the fact that these boycotts create a conflict between the public interest in the goals espoused and the property interest of those boycotted, a conflict compounded by the issue of first amendment rights claimed by protesters.” NAACP v. Claiborne Hardware Co. at 902. Antigun groups apparently believe that their actions will invariably withstand legal scrutiny because political boycotts fall within the free Speech Clause of the First Amendment to the U.S. Constitution. But, do they? If antigun groups’ actions against companies that do business with the NRA amount to extortion against companies—namely, “relinquish your association with NRA or face economic ruin”—their use of boycotts then crosses the line into forbidden territory. We need, then, to look at both the motives and the consequences of the actions taken by antigun groups. We do not presume that, because the purpose of a boycott is political or social in nature, such boycott does not amount to illegal tortious conduct under State law or does not amount to an illicit restraint of trade under the Sherman Act. Any use of a boycott to promote a political or social agenda must be scrutinized, carefully, no less so than as with labor boycotts. It is one thing to promote one’s personal political and social views in the public forum. It is quite another to threaten others, in the economic arena—to adopt a group’s private political agenda. Doing so amounts to extortion. “Using a motive test [alone] to determine the legality of a boycott ignores economic effects and may impair competition. . . . A political boycott exemption . . . does not simply permit groups with political grievances of offset the superior economic power of businesses that are on the opposite side of a political dispute. Rather, it favors the welfare of an interest group over the welfare of consumers in the aggregate. . . . Boycotts not only are objectionable on grounds of efficiency, but also deserve less First Amendment protection than other protest activities. While boycotts may contain elements of speech, association, and petition, they also introduce collusive economic pressure into political disputes. A truly effective boycott succeeds not by persuading, but by forcing a choice between political capitulation and economic bankruptcy. The claim that political boycotts are a form of protected speech therefore possesses little merit. The category of protected political speech is broad, but the most vigorous arguments, exhortations, and threats still allow the target more freedom than does direct economic pressure. The former can promise only adverse publicity, embarrassment, or ostracism; the latter holds the victim’s very livelihood hostage until he changes his political position. However laudable the goals behind a boycott, courts should not allow a private group to dictate who will have access to the market and on what terms.” A Market Power Test for Noncommercial Boycotts, 93 Yale L.J. 523, 526-527 (January, 1984), by Paul G. Mahoney. Coercing Companies to adopt the antigun agenda is morally objectionable if not illegal; and, where, as here, antigun groups seek to destroy a sacred right codified in the Second Amendment to the U.S. Constitution, such actions of antigun groups are reprehensible. Antigun groups are attempting to promote their agenda and to simultaneously crush dissent by compelling, through threat of economic disaster, compliance with a political agenda that companies may not share. ANTIGUN GROUPS’ USE OF BOYCOTTS ALSO INFRINGES THE RIGHTS OF CONSUMERS WHO DO NOT SHARE THE ANTIGUN GROUPS’ ANTIPATHY TOWARD FIREARMS AND TOWARD THE SECOND AMENDMENT. Antigun groups will claim that, through use of boycotts, they are simply exercising their right of free speech under the First Amendment. But, what about the First Amendment rights of NRA members? Don’t their rights deserve protection, too? By forcing companies to discontinue offering discounts to NRA members, antigun groups are illegally and unconscionably seeking to crush dissent—essentially arguing that NRA members’ First Amendment rights of association and expression must be constrained while antigun members’ First Amendment rights are maintained, and given free rein. CONGRESS CAN AND SHOULD ACT AGAINST ANTIGUN GROUPS THAT COERCE COMPANIES TO ACCEDE TO THE GROUPS’ POLITICAL AGENDA. “Congressional regulation of ‘political’ boycotts is similarly justified as a protection of the political process itself. Congress regularly applies restraints to political activities to ensure fairness. It has, for example, passed laws controlling the conduct of election campaigns, forbidding intimidation or coercion of voters, and prohibiting lying before government officials. Regulation of political protest to prevent economic coercion seems equally valid—and necessary to protect the integrity of the legislative process.” A Market Power Test for Noncommercial Boycotts, at 533.